Condensed milk is used in numerous sweet dishes. 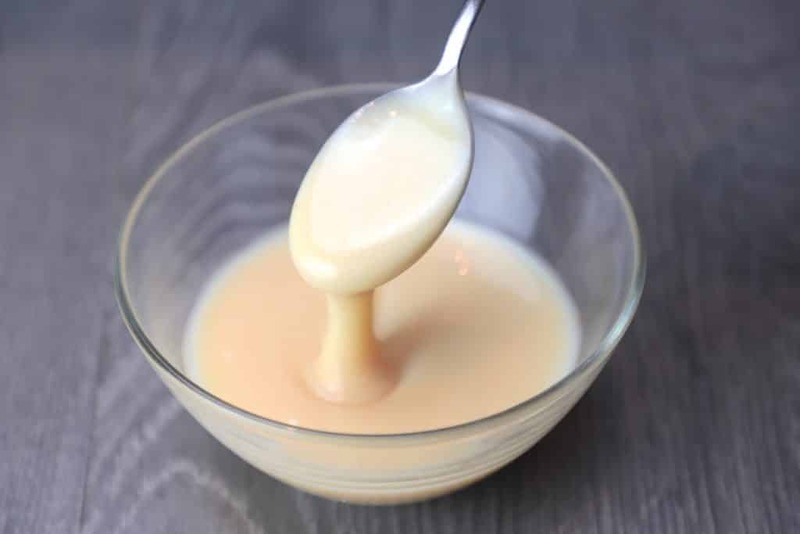 Condensed milk is very easy to make with only two ingredient milk and sugar. Cow milk that has much of the water is boiled and water has been evaporated. Sugar added to give it a sweet flavour and thick textures. 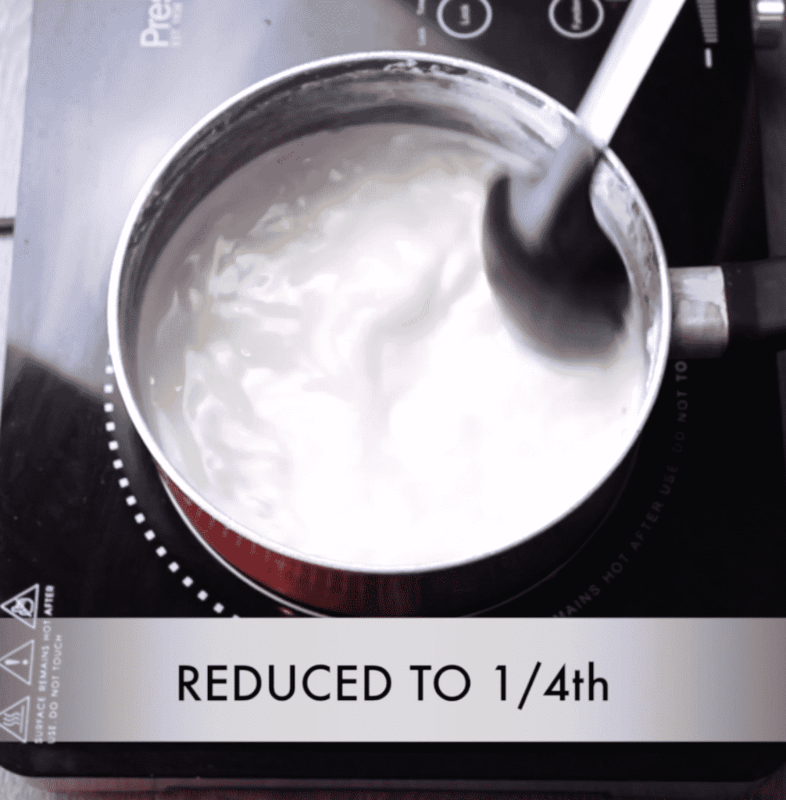 Follow this easy recipe to make condensed milk at home with instruction and step by step photos. 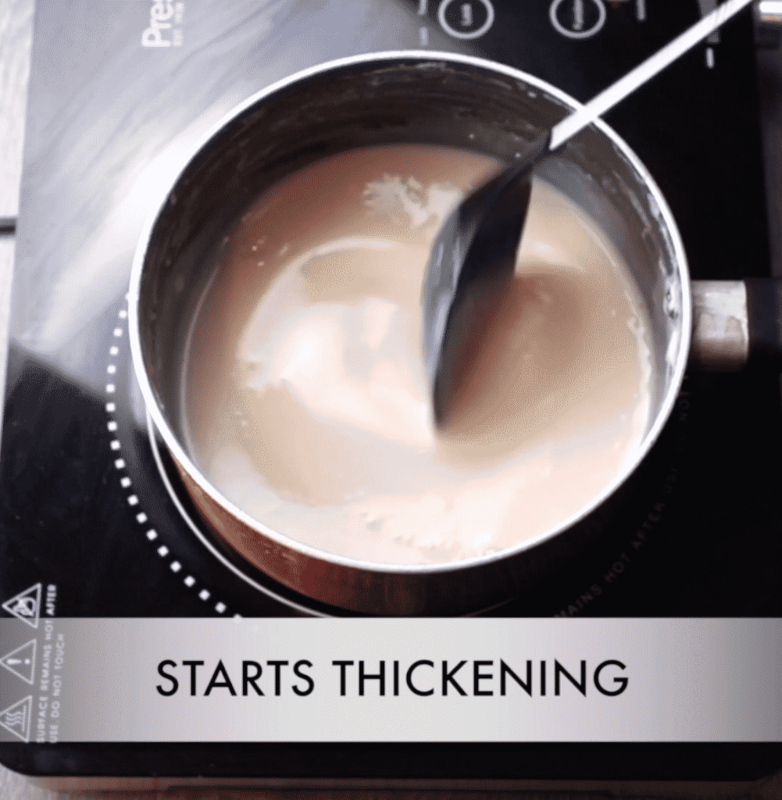 It is also called as sweetened condensed milk. In many countries it is available in sweet and unsweetened form, the one that is prepared by adding sugar know as sweetened condensed milk while unsweeten condensed milk also know as evaporated milk do not contain sugar. 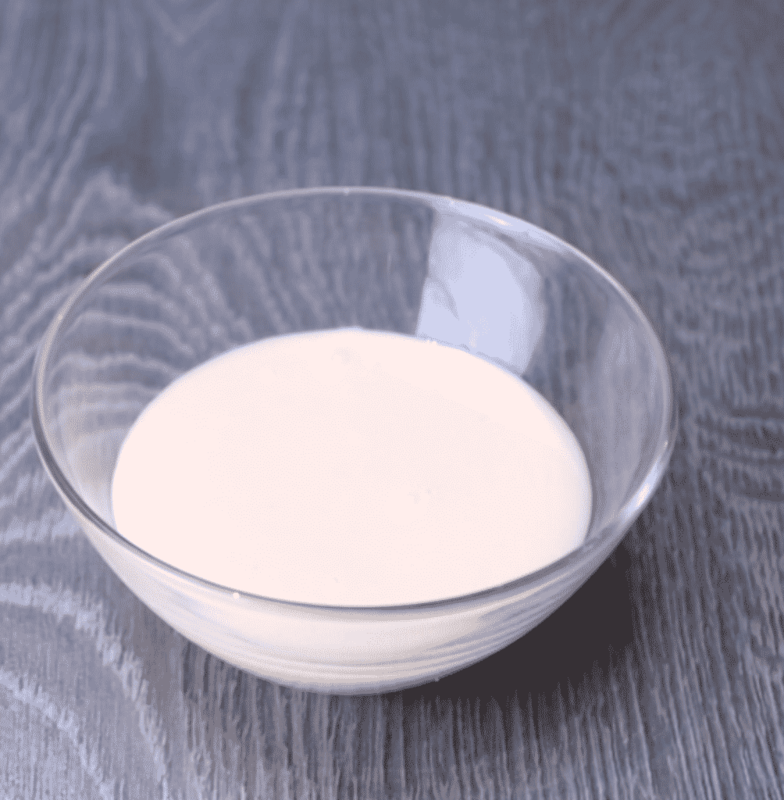 In India unsweeten condensed milk also know as khoya or mawa it is basically evaporated milk solids. When you heat it up it become thick liquid like condense/evaporated milk, but it does not have shelf life any sweet prepared with mawa or khoya do not last for many days. I usually prepare condense milk to have it as a dessert whenever I have sweet craving and do not have anything readily available. I prepare it by using milk, milk cream and sugar and add cardamom for flavour. It taste heavenly good hot, sweet milky and rich. Its smooth texture and versatile nature allows making of various traditional as well as contemporary desserts. 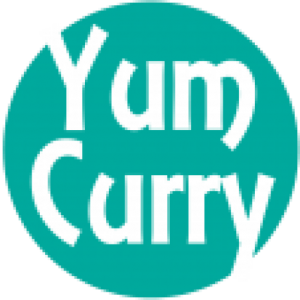 It mixes well and can be used in a number of ways to make your favourite dessert. In India condensed milk use in making various dessert, lots of sweet dishes prepared with mawa, khoya and milk solids, like barfi (indian fudge), gajar halwa, kalakand, mawa cake, malpua, peda, I also like to pour it on shahi tukada instead of rabri and over the jalebi. So lets make this sweet versatile product at home and delight your family with a different dessert each time. Condensed milk is very thick sweet product and can last for a year if not opened, home made condensed milk can store up to 6 months. 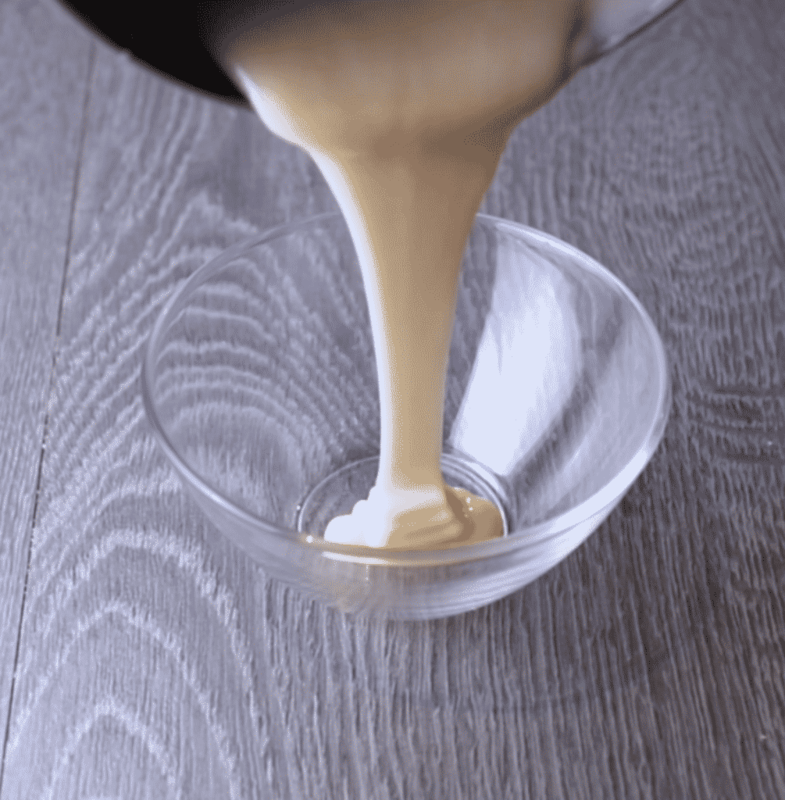 Condensed milk can be prepared with easily available ingredient, its a little lengthy process. 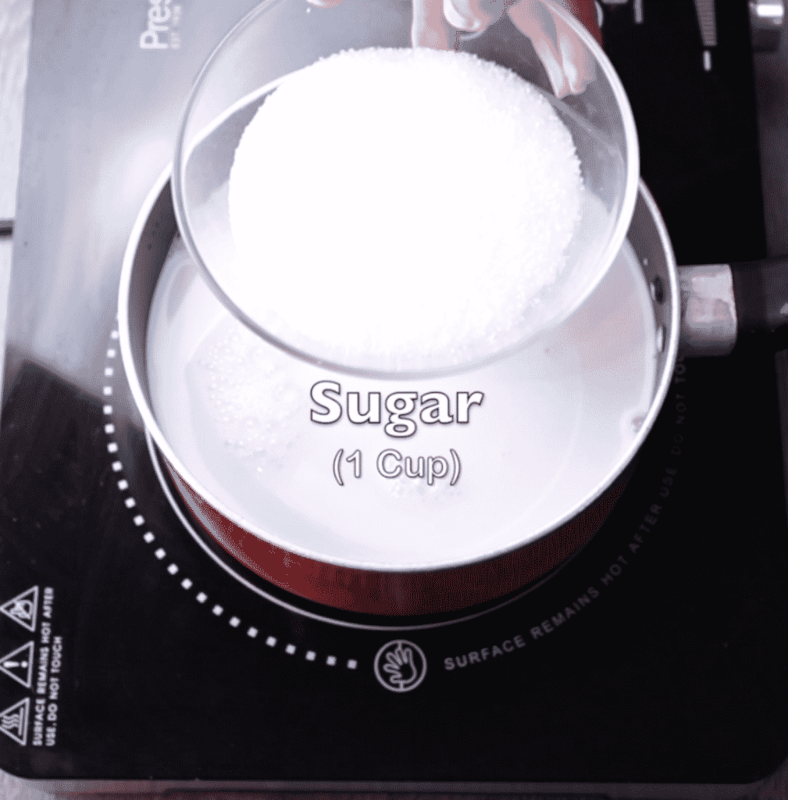 Milk and sugar mixture cooked on medium heat until it reduced to around 1/4th of its quantity. When it is reduced to desired consistency it is cook on low heat and stir continuously till thickened. If you are vegan you can make vegan condensed milk by using nut milk, soya milk powder or rice milk powder. 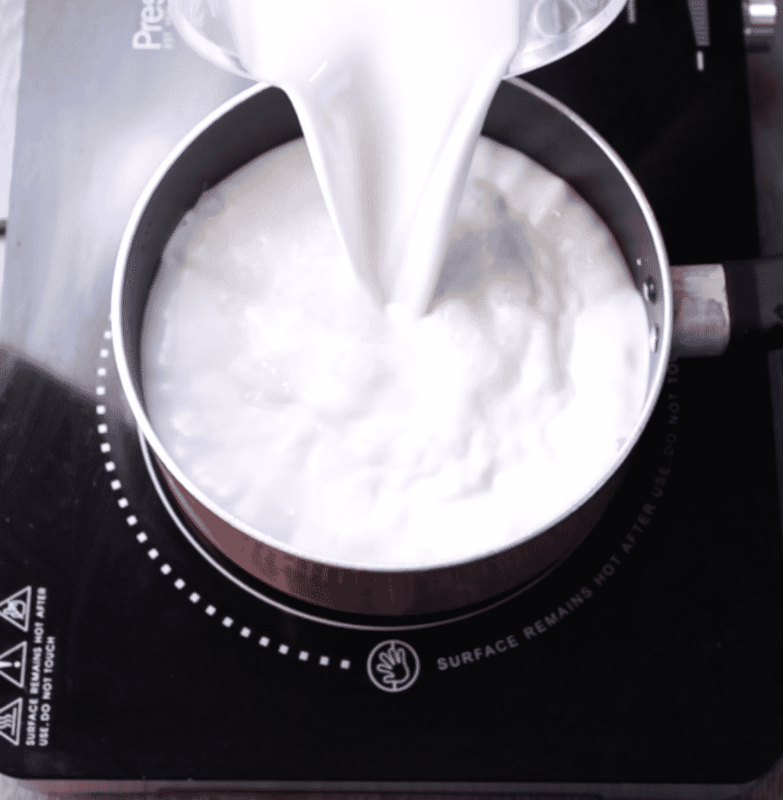 Initially cook milk on medium high heat it will reduce time of making condense milk. Stir between so milk won’t stick to the bottom of the pan. 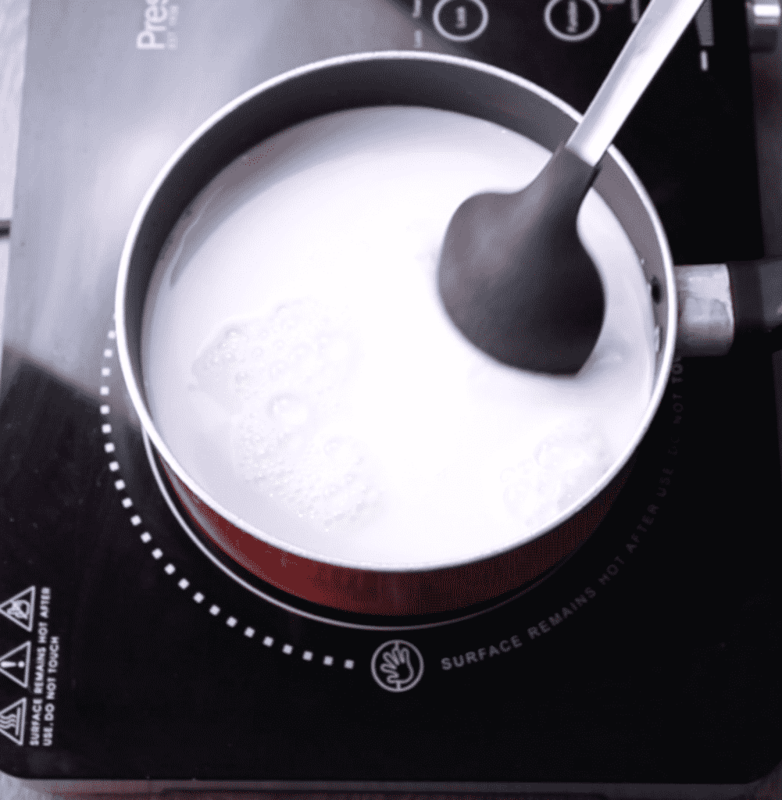 When milk reduce to 1/4th let it simmer on low heat until it thicken and stir continuously. Condense milk thicken up a lot after a few hours in the fridge. So turn of the heat when it moderately thick. In a heavy bottom pan add 4 cups of full fat milk. Add one cup of sugar into the milk. Cook on medium-high heat. Stir until sugar dissolve completely. Continuously cook on medium - high heat, stir occasionally for around 15-20 minutes, until the milk reduced by half. 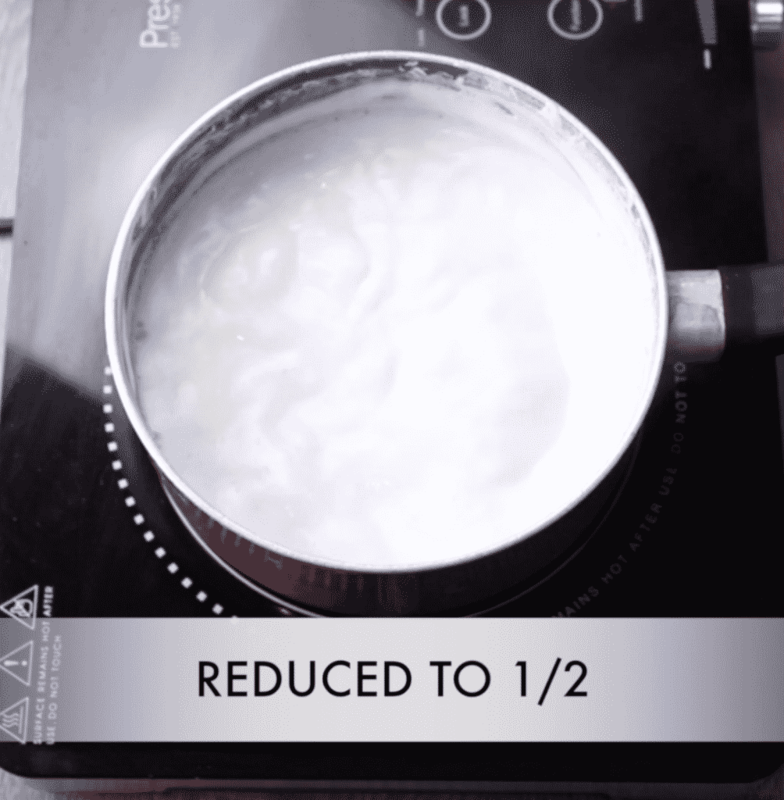 When milk reduce to 1/4th, cook on low heat and stir continuously until it thickened. When it is ready remove from heat and let it cool down completely. Condense milk thicken up a lot after a few hours in the fridge. Store it into an airtight container, it will last for 3-4 months. 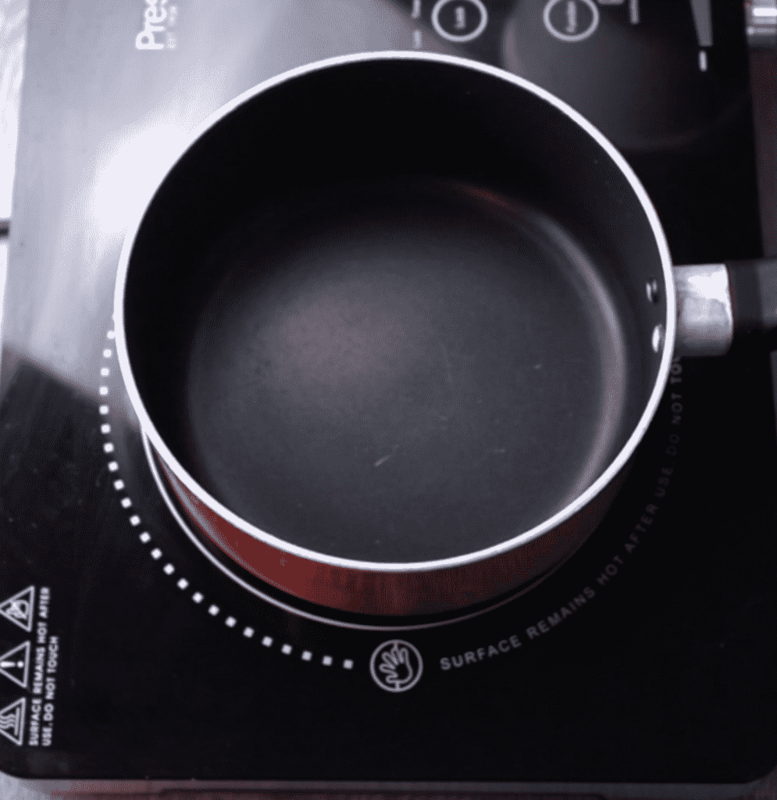 Continuously cook on medium – high heat, stir occasionally for around 20-25 minutes, until the milk reduced by half. Store it into an airtight container, it will last for 6 months.